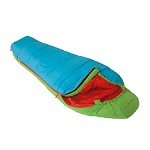 Children&apos;s sleeping bag for a wide range of use; from travel and camping to mountain huts and hostels. 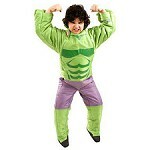 This "starter" sleeping bag is for kids from 3−8 years (max. 140 cm tall). The Dreamer Adjust is constructed with bluesign eco−friendly? materials, the world’s most stringent textile standard for environmental protection, consumer protection and occupational safety. Let the adventures begin! 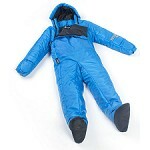 With the Dreamer Adjust sleeping bag, nights spent under the open sky are soothing on body and soul. The functional synthetic Sensofil ECO fiber reflects body warmth, has excellent moisture transport properties, is breathable and ensures a cozy sleeping microclimate in moderate temperatures. Junior 350 is easy to wash and quick to dry. Sensofiber synthetic insulation is a special microfiber that is used to reflect the body heat of a person sleeping. Sensofiber insulates well even when wet, dries quickly, is very long−lasting, as well as durable and easy to care for. Sensofiber transfers moisture effectively away from the body, dries quickly and insulates well even when wet. Outer fabric: 100% polyester 300T ripstop 50D. Lining: 100% polyester, 50D 310T. 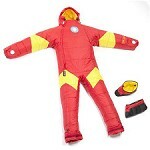 Insulation: 100% polyester 3D fiber. Approx. total weight: 1050 g.